Decorating with Blue is not as daunting as some might see it. Blue is fresh and brings the interior to life. 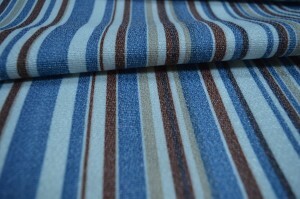 Tones of Blue in interior make it appealing and creates interest. Curtains, accessories and soft furnishings with blue pattern prints and designs can make up an appealing contemporary living space. Blue is a cool color by nature. 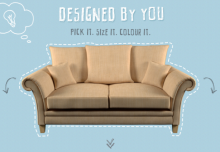 Browsing through interior catalogues, it is one of the most widely used colour for show homes and interior shoots. 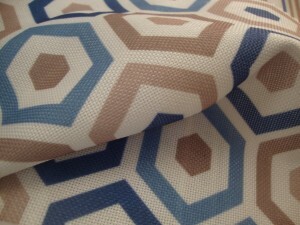 but in reality, a lot o f people find it difficult to lay out an interior scheme with blue. It takes a little effort to work out the scheme and combined with other cool tones as it works many other cool tones like gray, purple, even black. 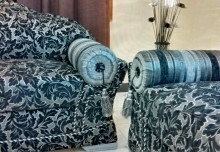 To give your room a sense of stability and calm, use combinations with Gray, Purple, Black with Blue. If you want to go bold with your interior, go for combination with metallic, whites, deep reds. 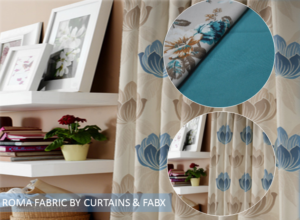 Hanging patterned blinds in floral blue curtain fabric adds a layer of interest to a living room scheme. Blue tones used both on the window and accessories create a link between the two. An area rug in Grey may offer softness, with a comfortably and generously cushioned sofa. A floral curtain fabric sets off the colour scheme in a living room. 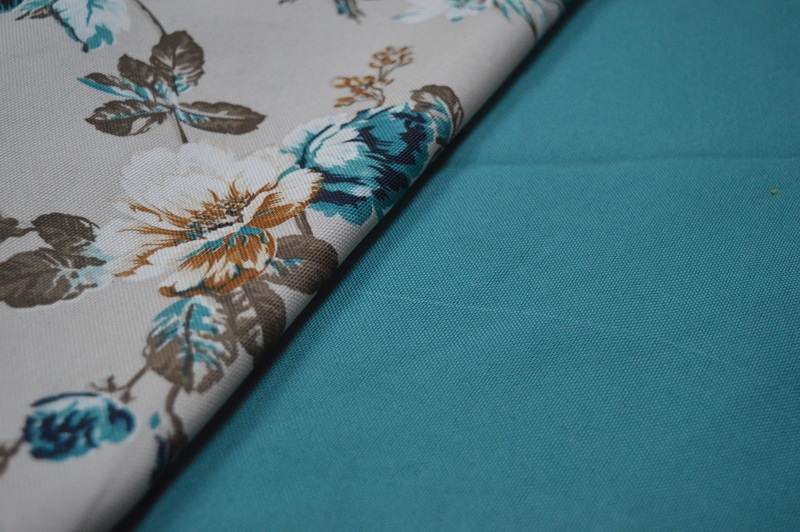 Mix blue and floral curtain fabric for a soft, gentle living room style. Floral patterned Curtains / Blinds with brighter floral pattern on cream goes extremely well with pastel sofas. 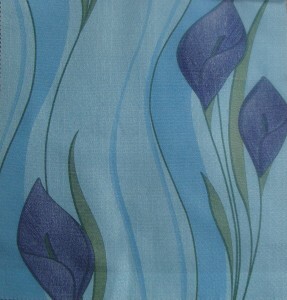 Try this beautiful yet elegant Blossom floral curtain fabric in blue to create a statement around your interior. Fabric in a bold floral pattern will make a strong statement when teamed with other soft furnishings and curtains in the same colour. Another idea, is to start with creamy neutrals on the walls, carpet and upholstery, then choose blossom-print curtains with Blue and purple or Lilac accessories. We do two different colour combinations of the same blue floral print, one combined with green leaves and the other with autumn leaves. 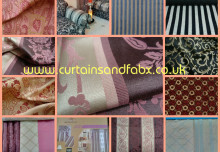 CLICK HERE to view our Fantastic Blue Curtain Material Range. Article also featured on Ezine.